For 26 weeks I will take you on a family history journey through the alphabet, one letter at a time. I have decided that each post will be educational in nature, focusing on topics related to resources, methodology, tools, etc. Although the challenge is complete, there are still some people who are finishing up and Alona, the host, is encouraging others to participate anyway. Additional information on the challenge, can be found at Take the ‘Family History Through the Alphabet’ Challenge. This week I want to talk about reasons why you should consider joining genealogical and/or historical societies. There are plenty of societies to choose from, at all levels, including national, regional, state, county, and town. You do not have to live in the area of interest in order to become a member. In fact, many people join societies in the places where their ancestors came from. The people who serve the society, especially state, county, or town societies, usually have a good understanding of the area, the history, and the records. And as part of the society's mission, their main goals are usually to educate others and preserve records. So by being a member, you benefit from this knowledge. By joining a society, you are supporting its mission. Oftentimes, you get a variety of member benefits, a few of which I will mention below. But, you should consider giving back in some way, whether it’s by indexing records, submitting an article to the society’s journal or newsletter, serving on the board or a committee, or working on a special project. Before I get into some of the benefits you might expect to find, I want to remind you that not all societies are created equal. While I truly believe that each society wants to fulfill its mission, sometimes they struggle due to a lack of volunteers and/or funding, or they simply don’t want to change their ways. But this an entirely different topic, which will not be discussed here. Just know that some societies do a better job than others. I think the main reason people join a society is to get something in exchange for their membership fee. Usually that “something” is educational in nature. They want to learn more about genealogy methodology and resources or the history and records of a particular area. And while most societies provide something along these lines, either with publications and/or events, some societies provide additional incentive to become a member. Programs, Workshops, and Conferences – Most societies offer some sort of educational experience in the form of traditional in-person events. Usually, the larger, broader-focused societies offer an annual conference, while the smaller, local-focused societies have monthly programs. Some societies offer workshops and some even lead research trips to repositories. A few state societies are now offering educational opportunities online in the form of webinars. Journals and Newsletters – Societies usually provide some sort of educational publication on a regular basis. Journals are typically “scholarly” in nature and may include short genealogies, research stories, case studies, and how-to articles. Newsletters, on the other hand, are usually reserved for news items about the society or its area of focus and news of general interest to the genealogical/historical community. Some societies provide both, while others provide one or the other (or sometimes a hybrid of the two). Special Publications – Since most all genealogical and historical societies have education and record preservation as part of their mission, oftentimes they publish books. These books could be indexes, abstracts, or transcriptions related to a particular record set; the history of an area; tombstone transcriptions; and host of other topics. Discounts – I would say that nearly all societies provide their members with discounted prices for society events and special publications. Some societies may offer members free admission to their events or libraries, while the public has to pay a small fee. In these cases, the membership usually pays for itself. Here are some additional benefits I’ve seen in more recent times that societies are using to further their mission and attract new members. Access to Databases – Some societies are developing members-only sections on their website that give members access to a variety of databases created by the society, digital images, and even access to websites/databases that you would normally have to access from your public library. For example, the New England Historic and Genealogical Society has a ton of their own databases and offers free at-home access to Early American Newspapers. The Southern California Genealogical Society offers free at-home access to NewspaperARCHIVE. Access to Archived Journals and Newsletters – Societies are also providing members with access to digital copies of past issues of their journals and/or newsletters. For example, National Genealogical Society members can access issues of the NGS Magazine from 2005 to the present and the NGS Quarterly from 1982 to present. Discounts on Non-Society Products – In some cases, societies are partnering up with vendors for special discount programs of other products. For example, National Genealogical Society members can get a reduced price for a Fold3 subscription. A membership with Southern California Genealogical Society can get you a discount for DNA testing from Family Tree DNA. 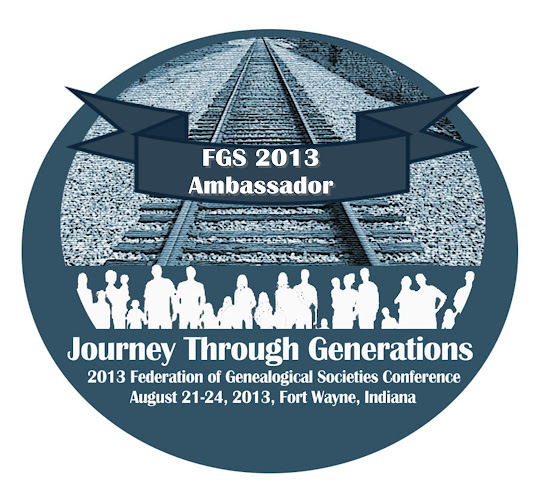 As you can see, there are plenty of reasons to join genealogical and historical societies. I belong to several societies across all levels and serve a state and national society. All of the societies I am a member of offer at least one periodical, which I’m always excited to get in the mail and read. Serving a society has been a benefit of its own; I’ve be able to work with some of the best genealogists out there and consider many of them real friends. I also enjoy hanging out at society meetings in my local area, even though I have no personal research interest in the area. It’s a chance to meet new people and socialize with like-minded people…you know, the ones whose eyes won’t glaze over when you start talking about great-grandma Edna. And finally, even though some of the societies I belong to are at a distance, it’s nice to know I am financially supporting a society that caters to the places my ancestors once called home. Do you belong to one or more genealogical or historical societies? If so, why did you join and what benefits do you find most useful? If you do not belong to a society, why not? Don’t be shy, share you’re thoughts and feedback in the comments for this post. Fabulous points Julie, and I totally agree. Just one other thing that comes to mind is that some societies have a members only area on their website which allows you access to MORE stuff, which you can then access from home. And it's a place you also get to meet a whole bunch of other people who also LOVE genealogy as much as you.